Communication – one of the most important things about being a human being. People communicate with each other to express their feelings and thoughts. However, for young children, how do parents judge their communication skills? What can parents do to enhance their children’s communication skills early on? Children express themselves in different ways. Some just hug their parents when they try to say something, others draw or write. When do you start developing those child communication skills? The first years of a child’s life, their brains start to develop and absorb whatever they see or touch. Adults who interact with children influence their actions. Early childhood teachers engage with children and this gives them opportunity to give lessons that aid the children’s communication skills. Through storytelling or role playing, this enhances their creativity and imagination. With the different interactions that children engage in, they use their voices most of the time and communicate verbally. Parents patiently wait for their children to utter their first word. They try teaching them how to say, “mama” or “papa” which eventually becomes the child’s first word. It brings parents joy when they hear their child speak for the very first time. Their vocabulary develops as they learn more in school and at home. Verbal communication is easiest to learn since it only takes observation and practice to learn how. Communication teaches children to convey their thoughts and to listen to the person they’re conversing with. Begin teaching children how to listen by allowing them to speak first and then show them how parents listen. Afterwards, let them know that their thoughts and ideas have been acknowledged. As children grow, listening helps them converse with adults and their peers better. Non-verbal communication begins with their facial expressions whenever they feel hungry, sad, or ecstatic. Not only does it include facial expressions, but also their hand gestures, body movements and even their sighs. Everyone, even their parents, observe and interpret these actions differently. Words that children utter may mean different things as they grow older. The same goes with their actions. Sometimes, children misinterpret what their parents say and react differently. To avoid confusion, parents and teachers need to teach children how to read and interpret these actions. This prevents conflict between them. Also, this allows children to learn how to effectively communicate with their friends and other people around them. With technology improving through the years, it is important to educate children on being responsible with their gadgets. Most children use their gadgets for entertainment and their nannies use those gadgets to communicate with their parents. However, parents teach their children how to communicate with them using messaging apps. The internet presents a lot of options for a wandering mind. For some reason, it allows two strangers to meet and children may be prone to this. Remind them to refrain from chatting with strangers. Communication through gadgets allows parents to get real-time updates about their child. If their child needs to be fetched from school, a message or call to them does the job. Parents need them to understand the words they will use in a message before sending it to them. Speaking to other people may seem different, especially if the tone used changes as the conversation goes on. For parents, using their calm tone makes children feel secure and happy as the conversation proceeds. This makes children trust the people around them who speak to them in that manner. However, when parents raise their voice to their children, it makes them feel anxious and may create a gap between them, especially when they grow up. Just remember to be careful with your tone of voice when speaking to a child. Communicating with children challenges parents and teachers alike as they start to develop. 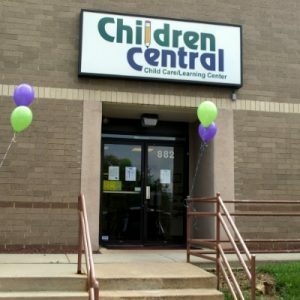 Children Central helps parents communicate with their children and helps children communicate with other children too. Engage your children in different programs tailored for their development now.